The 113th Annual General Meeting of the Automobile Association of Ceylon was held on 29 June at 6.00 p.m. at the auditorium of the AAC headquarters. The association’s President Dhammika Attygalle chaired the meeting which was well attended by several distinguished young and senior members of the association. The members commended the improvements to the services and facilities afforded by the President and the Executive Committee without an increase in the annual subscription for the last 10 years. They also extended their appreciation over the performance made in finances by increasing profit by 100% compared to last year. They praised the timely projects undertaken by the association, with the assistance of the Federation Internationale de l’Automobile (FIA) in Geneva, conducting seminars and workshops to educate driving school instructors on road safety so that they could train prospective drivers on good and safe driving. President Attygalle, who is the Vice President of FIA Region II, is also a Member of the National Road Safety Council Sri Lanka. At this meeting, President Maithripala Sirisena was elected Patron of the Association, Transport and Civil Aviation Minister Nimal Siripala de Silva and Tourism, Development and Christian Religious Affairs Minister John Amaratunga, Life Member AAC, were elected Vice Patrons. B.R. De Silva & Co were appointed auditors for 2018. Executive Committee Members: Deshabandu Dr. Lakshman Weerasena, Ananda Dangalla, S. Mannapperuma, JP, S.V. Ganesh, S. Ravi, N.Z. 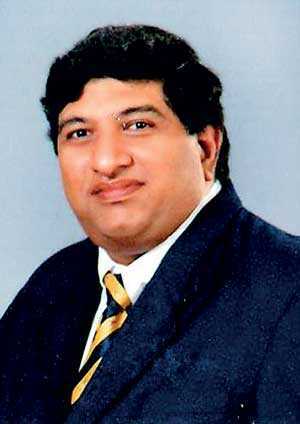 Passela, S. Arachchige, Dampiya Banagala, Prasanna De Zoysa, Upali Gooneratne PC, Keerthi Gunawardena, P.B. Kulatunga, Devapriya Hettiarachchi – Secretary and Anton Kandiah – Consultant.